On 3rd January 2018, we held our first chat session of 2018 and the topic of choosing was Healthy 2018. With 2018 being the year of impact for BlogChatter, it was noticed that most people wanted to have a healthier lifestyle in 2018 and featured as one of the most common resolutions on our social feed. Going with the spirit, Blogchatter decided to ask around 6 questions so that the followers and people who wished to improve their physical or mental health could break down the various aspects, challenges and downfalls of a common new year’s resolution and understand how social media or BlogChatter in particular could play a role in helping people achieve their goals. The questions started with asking people if they had made a health resolution for the new year and went on to discuss what steps the people had already taken to lead a healthier 2018 and what role social media, community and Blogchatter could play on the path to fulfillment of the resolution. We also foreshadowed a health tracker and asked people for feedback on the idea of getting people together and helping them track their health goals together with others. It was encouraging to see people embracing the various aspects of health other than physical ones as we could see many people focusing on mental health and peace of mind as well. As Ramya points out, any health resolution would be more effective if it holistic in nature and encompasses all the different aspects of health i.e. body and mind. As the chat session moved ahead to discussing the various steps that had already been taken by the community members it seemed to emerge that joining a gym was the most common step that had been taken. Of course, this comes with problems of its own as Avanti points out how hard it might be to convince parents to let us become members to a gym. Other suggestions were cutting out carbohydrates or reheated food. More people chose to do this by themselves by setting walking or strength training goals for themselves. When asked about sharing the goals with friends or community it was seen that many people chose to keep their targets to themselves due to reasons varying from social laziness to lack of a response while some liked making new friends which motivated them to perform better than the previous day. A3- I was happy to do my #InnerEngineering course @ishafoundation Bhubaneswar & connect with new friends. The major challenges that many people face on their way to a good health were mostly the chilly winter mornings and evenings of north India and the all too honest opinion of being too sleepy to work out. Time management also came up as an issue as the hectic work and home schedule left many people with little time for their own care. 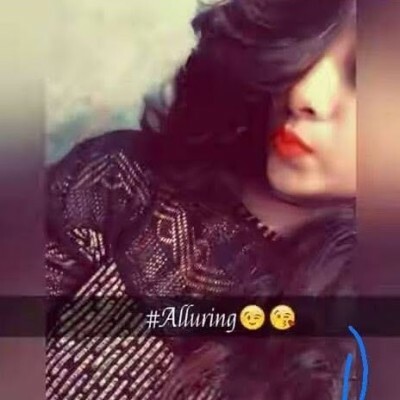 Social media and its perceived role was also a debated topic as some people said that it might be considered show off or could be easily manipulated with photoshop and other tools that the current generation possesses as pointed out by Nupur. On the other hand, it was commonly seen that people saw it as a way to increase accountability because if anything makes the Indian people really do something, it is the societal pressure so why not just invite it and use it to our strength. A5 Sure does. It increases accountability, increases motivation. A6. I definitely think so. Following the mandates and instructions religiously is upto you, of course. But it does help to keep one on track because you realize you’re doing this for yourself. A lot like #MyFriendAlexa and #BlogchatterProjects. Don’t keep up and you lose it all. With this in mind, we gladly announced that an Instagram Health Tracker will be launched from 10th January to 31st Janurary 2018, in an effort to bring together the community to work towards the common goals. Blogchatter Chat Session is a Weekly Chat Session that happens every Wednesday at 8.30 PM IST on Twitter. You can connect using hashtag Blogchatter for easier access. This week i.e tomorrow we are discussing – How to Define Impact. A topic that is building on our Year’s Impact and pushing out more ideas to further funnel results in similar directions. Meet us tomorrow then? Same time, same place and more ideas to share!